Dr. Rosalyn Marian Terborg-Penn was born in Brooklyn, New York. Her family moved to Queens, New York when she was ten, and there she completed her primary and secondary education. She graduated from Queens College of the City University of New York with a B. A. degree in History. After graduation, Terborg-Penn moved to Washington, D.C. and enrolled in George Washington University. There she earned her MA degree in United States History and Diplomatic History, while she worked as a daycare teacher at Friendship House, a Washington, D. C. settlement house, during the 1960s. In 1969 she and her husband moved to Columbia, Maryland, and she began her career teaching as an Instructor in the History Department of Morgan State University in Baltimore. In 1972, with a young baby in hand, she enrolled in the Howard University Ph D Program in History. 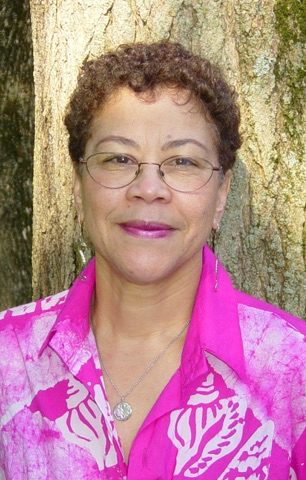 She completed her Ph D in Afro- American History in 1977 when she defended her dissertation, “Afro-Americans in the Struggle for Woman Suffrage.” With one co-edited book published, A Special Mission: The Story of Freedman’s Hospital, 1862-1962, Terborg-Penn was promoted to Associate Professor in 1978, and began her tenure as Coordinator, Graduate Programs in History at Morgan State University. She retired from full time teaching at Morgan in 2006, as Professor of History, but continued to supervise her dissertation students. After her seventh dissertation student defended in July 2009, Rosalyn Terborg-Penn retired fully from Morgan State, with the title, University Professor Emerita. Her research and published writing include over forty articles and seven books. Three of her books are, African American Women in the Struggle for the Vote, 1850 to 1920; Women in Africa and the African Diaspora: A Reader, co-edited with Andrea Benton Rushing; and The Columbia Guide to African American History Since 1939, co-edited with Robert Harris. in 2001, she became one of the three signatories to incorporate the professional organization, Association for the Study of the Worldwide African Diaspora (ASWAD). The recipient of numerous awards for outstanding scholarship and for service to the Historical profession, Terborg-Penn won the Rayford Logan Best Graduate Essay Award in 1973, during her first year in the Howard University Ph D Program in History. The essay, “Discrimination Against Afro-American Women in the Woman’s Movement,” was published in 1978 and became a classic Woman’s History article. In 1998 she won the Letitia Woods Brown Memorial Prize for the best book on Black Women’s History, African American Women in the Struggle for the Vote, 1850-1920. In addition, she received the 2003 Towson University Distinguished Black Marylander Award.